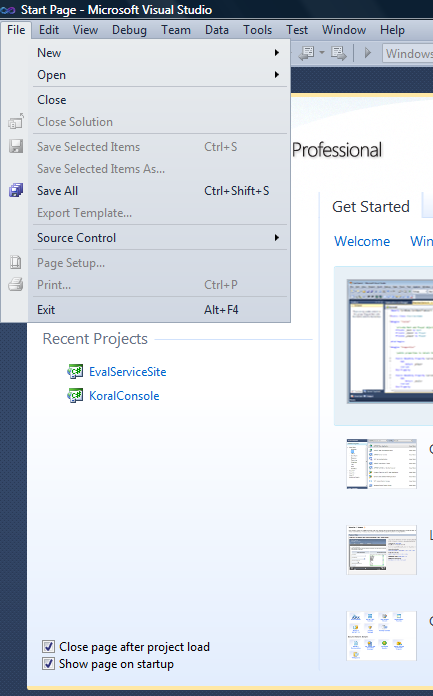 Visual Studio 2010, “File > Recent Projects and Solutions” is not a active ! as you can see, also on the start page, there is only two project on the 'Recent Projects' section which is odd given the circumstances. what should I do here to get it worked? The "Recent Files" and "Recent Projects and Solutions" options are missing from your File Menu. You have a lot less Projects in your Recent Projects than you should. Solution To #1: Go to Tools > Customize > Commands. From there you should be able to select "File | Recent Files" and "File | Recent Projects and Solutions". Next, you click "Reset All". Hopefully, you have those two lists back now. Solution To #2: This one is a little bit more complicated because it could be a number of things. First, I would make sure you have the number you want for the "Recent files" options in Tools > Options > Environment > General. If you already had that, check the registry location and make sure you actually have entries here since this is where VS pulls it from. HKEY_CURRENT_USER\Software\Microsoft\VisualStudio\10.0\ProjectMRUList . The 10.0 is for VS 2010. More info here. If there's nothing there then your recent projects aren't being saved properly. You could try calling Devenv /ResetSettings to reset the VS settings. More info at MSDN. Finally it could be due to a Windows Explorer setting which hides recent files. This is a possibility because VS takes its directions from the same place with regards to recent files. You would need to make sure HKEY_CURRENT_USER\Software\Microsoft\Windows\CurrentVersion\Policies\Explorer "NoRecentDocsHistory" is zero. More info on this possible solution as well as other ideas to this problem can be found here. open notepad and paste the text below in it without the ===== part. Not the answer you're looking for? 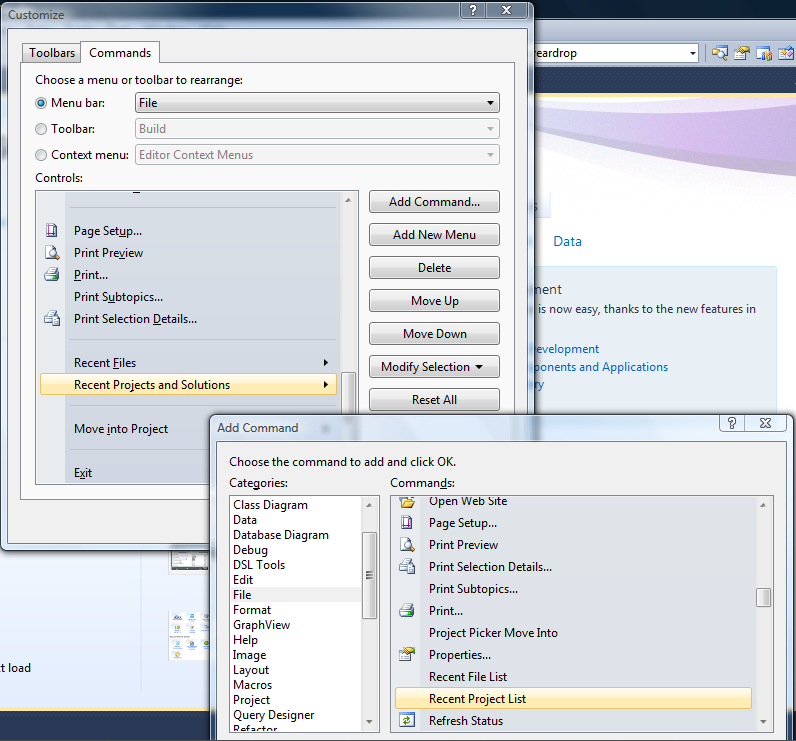 Browse other questions tagged visual-studio visual-studio-2010 ide or ask your own question. 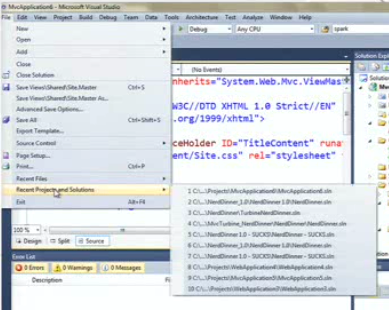 How to set projects to the recent view in Visual Studio? Where is my “Recent Projects and Solutions” option?